Businesses face mounting pressure to meet environmental compliances as China’s war on pollution wages on. While the rhetoric surrounding China’s clean-up efforts are certainly not new – the country’s recent green agenda has taken a more pragmatic and balanced turn. Amidst an ongoing economic slowdown and tariff brinkmanship with the US, the Chinese government has found itself continually playing tug-of-war between the pursuit of aggressive economic growth plans and an ambition to transform the nation into a ‘Beautiful China’. These two seemingly conflicting ideas form the backdrop to the latest policy initiative by the Ministry of Ecology and Environment – the 2018-2020 Three-year Action Plan for Wining the Blue-Sky War (the 2020 Action Plan) – which was released in June, this year. Here we discuss five major environmental efforts led by the government that businesses should prepare for as China’s crackdown on pollution gains momentum. As China grapples with a stagnating economy, more provincial governments are choosing to incentivize rather than penalize businesses to cut down on their pollution. One such example is the province of Hebei, which recently introduced a new ‘pace setter’ scheme to give leading enterprises preferential treatment and exclusion from output restrictions lists. ‘Pace setters’ will typically be companies in industrial sectors, such as steel, cement, glass-making, and coking and waste-to-energy. Independent third-party assessors will award ‘pace setter’ status to those companies which, for example, impose stricter than necessary emission standard, implement a green supply chain system or consume low levels of coal and water. From January 1, 2019, China will have a new soil pollution law, which will crackdown on all ‘soil polluters’. Manufacturers, business operators, and land-use rights holders should familiarize themselves with the legislation as they may now be subject to additional obligations and liabilities. The Law on the Prevention and Control of Soil Pollution (the Soil Pollution Law) stipulates that for any identified construction land (non-agricultural land for residential, industrial, mining, or other purpose) with contamination risk, the polluter will be required to investigate the status of their soil, complete risk assessment reports, and form their own restoration plan where the pollution level exceeds that of national standards. While the ‘polluter’ in each scenario is not made clear, read in light of the other articles, any individual, organization or public institution who use or engage with the land is at risk of being liable. In addition, under the Soil Pollution Action Law, more soil monitoring stations will be established to collect information which will then be disseminated on a new shared database that can be accessed by all relevant environmental agencies. China’s air pollution inspections are expected to hit more regions this coming winter. According to the Ministry of Ecology and Environment – businesses in the industrial, energy, transportation, and land-use sectors will be hit the hardest, with continued enforcement of coal-to-gas conversions in the next couple of months. Unlike the previous 2017 Action Plan, the new 2020 Action Plan stipulates air pollution inspections that are not limited to the Beijing-Tianjin-Hebei region, but will also include Shanghai and cities in Jiangsu, Zhejiang, Anhui, Shanxi, and Shaanxi provinces. To enforce this expanded coverage, the central government will be sending out two hundred teams comprised of some 18,000 inspectors and support staff who will take part in air pollution inspections from June 11, 2018 to April 28, 2019 – triple the workforce from last year. Heavy polluting factories in urban areas, particularly those that produce steel or use coal in its process, continue to be at risk of forced relocation or closure. 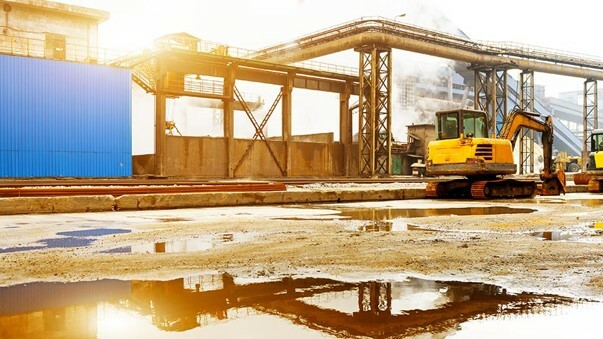 In June this year, the State Council announced that it will ban new steel, coke, and primary aluminum capacity in the Beijing-Tianjin-Hebei and Yangtze River Delta regions. Within this region, Hebei’s steel production will be further limited to 200 million tons by 2020. Cities such as Beijing and Guangdong have been especially active on this front, and it is expected that other cities will follow suit as the 2020 deadline draws closer. Beijing, is widely considered as leading the charge on industrial pollution control with no imminent signs of slowing down. Having already rejected registration applications from 19,500 firms and shut down or relocated another 2,465 manufacturers – it is expected that by 2020 Beijing will shut down a further 1,000 manufacturing firms. These accelerated closures and relocations signify Beijing’s withdrawal from traditional manufacturing businesses with the aim of reducing smog and providing more job opportunities for neighboring regions. Similarly, Guangdong has issued draft guidelines calling for a ban on new industrial capacity for a range of businesses in the Pearl River Delta Region. Industries targeted include: coal-fired power generation, steel, petroleum, petrochemicals, glass, ceramics, and non-ferrous metal smelting. Clean energy alternatives have received renewed attention after a slew of new policies were announced this August, which aim to improve natural gas supplies and promote the use of ethanol as a renewable biofuel. A new diversified natural gas supply system will be built just before winter, which expands domestic production and international cooperation to better coordinate sources inside and outside the country. Replacing the coal-powered heating system in Northern China’s residential homes will continue to be a key priority for the government. However, having learnt from its previous year’s catastrophic heating crisis, the government has taken a much more pragmatic and measured approach in its coal-to-gas conversion, this time round. Under the new 2020 Action Plan, natural gas will continue to be a substitute for coal but will now only replace 30 percent of residential heating power source as opposed to being an 80 percent substitute (as was aimed at last year). In addition, the emergency response mechanism will be able to regulate demand where possible, forewarn any imbalance in supply and demand, and construct a multilayered reserve system. Five years on from when Premier Li Keqiang first declared China’s war against pollution – the nation’s crackdown efforts have become increasingly complex. In 2018, China’s environmental laws, policies, and plans have two defining features – they are more widespread and more strategic. As the war against pollution wages on, businesses should ensure they are compliant with the newest laws and policies and ensure that their business strategy reconciles with the targets set within the 2020 Action Plan and the 13th Five-Year-Plan. This article was first published by China Briefing which is produced by Dezan Shira & Associates. The firm assists foreign investors throughout Asia and maintains offices in China, Hong Kong, Indonesia, Singapore, Russia, and Vietnam. Please contact info@dezshira.com or visit our website at www.dezshira.com.